HissTank › G.I. 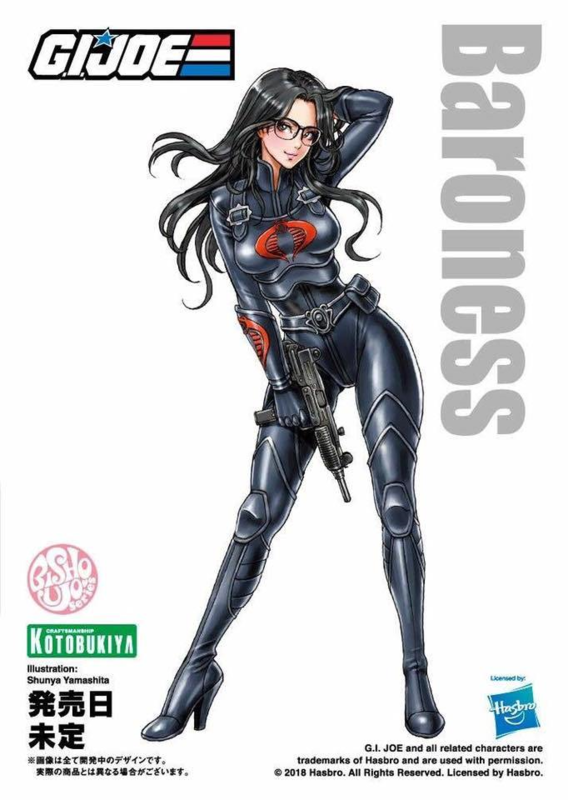 Joe Conventions › Bishoujo Series Scarlett And Baroness Statues By Kotobukiya Revealed at SDCC! Discuss on the HissTank Forums› Views: 4748 › Credit: C.I.A.D. Living the Adventure Dios promised on Facebook that we’ll see a big Gijoe reveal from Hasbro. Tom Waltz from IDW has something lined up for the comics, but I can’t imagine a new series would be considered a huge reveal from Hasbro. Any guesses? Think it’s all poppycock? I'm guessing its something to replace the Collectors Club. To me the 'Join the G.I. Joe Army' is the key. I was there tonight and either the IDW people have great poker faces or know nothing of upcoming work, but they had zero data and seemed uninterested in discussing Gi Joe. At the Hasbro booth I chatted with a Transformers designer named Shaun who had nothing to say about GI Joe. 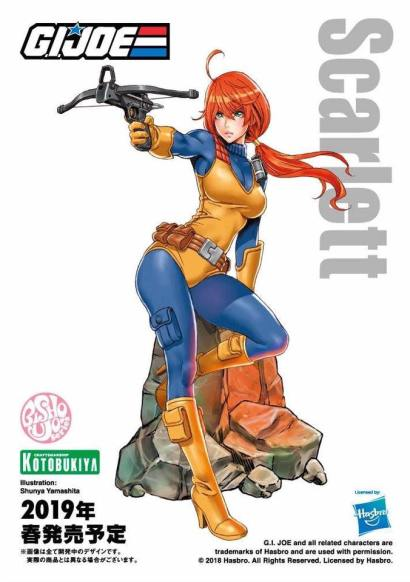 As long as it involves more modern era figures and works at least in part to complete ARAH in modern era, I'm in. Can you post a pic, for those of us that do not use FB? Thanks. These - We first learned about the series in February of this year. They're slated for release 2019. Some random guy on FB announced that someone was announcing something... maybe. Well, to be fair, Tom Waltz did note that he'd be sharing some GI Joe news at the IDW Panel. What that news is remains to be seen. We'll know soon enough as the IDW/Hasbro Panel is today.